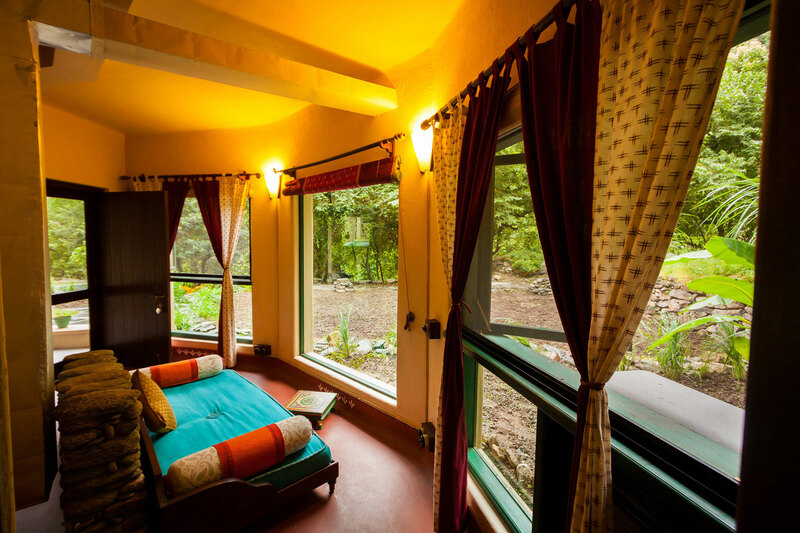 Yukta opens out to the gardens facing the river and has an indoor-outdoor bathroom, with an outdoor rain shower and hand-pump for traditional bathing . 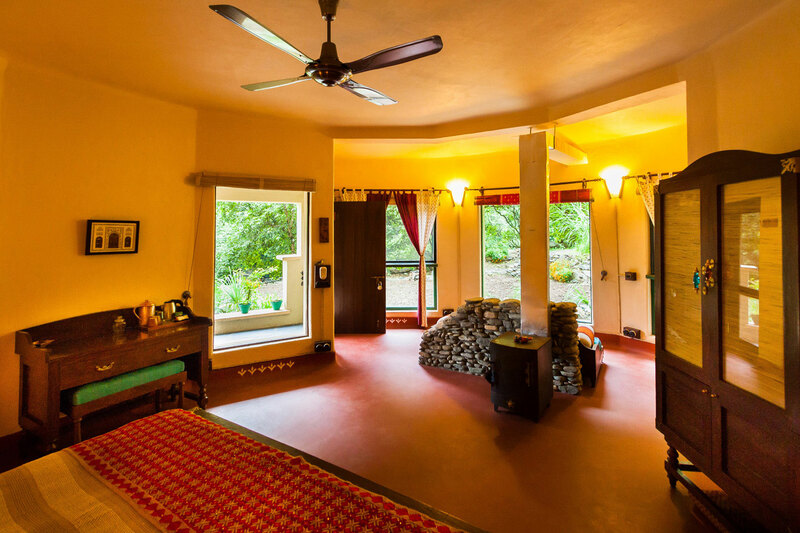 It is a part of the 2 bedroom octagonal Cottage that has been decorated in rustic-style with old-world red concrete floors, old click switches and vibrant furnishings. 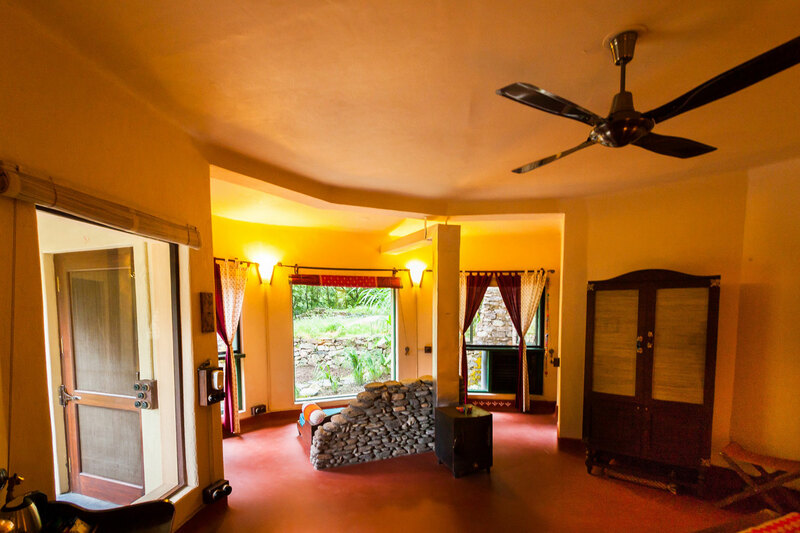 Though recently made, everything is designed to look dated, fitting into the village ambience and reminiscent of the years gone by. 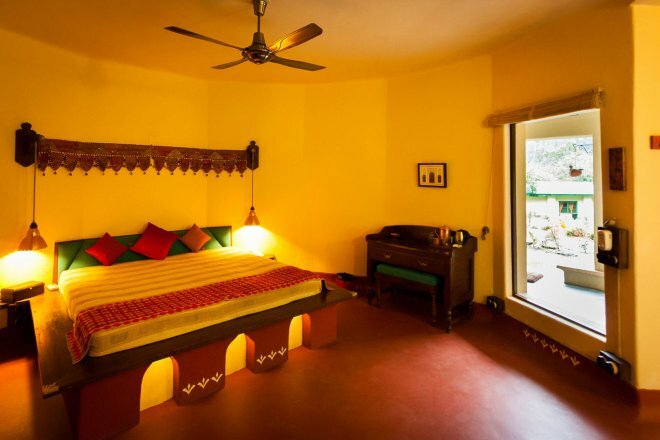 It can be paired with Mukta on the first floor if 2 rooms are required nearby.